On November 30th 2016, The Supreme Court of Canada heard Chippewas of the Thames First Nations Case on the Crown’s Failure to Consult. Chippewa sent three coach buses, filled with community members, to Ottawa on Nov. 30th to show support. Your kind donation will help us continue our legal fight to protect the waters and defend the Thames River watershed. 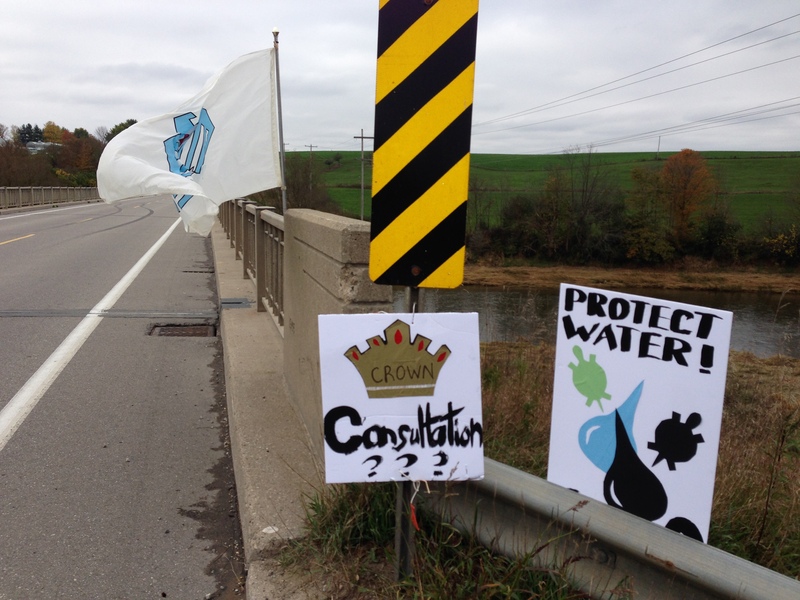 40 year old pipelines pose a risk to our traditional territory. Constitutional laws protect Aboriginal rights and Treaty rights to be consulted and if necessary accommodated when a development impacts our lands. We could use your help. A donation can be made at the following link https://www.gofundme.com/chippewas entitled Chippewas for Mother Earth. Thank you for your consideration. 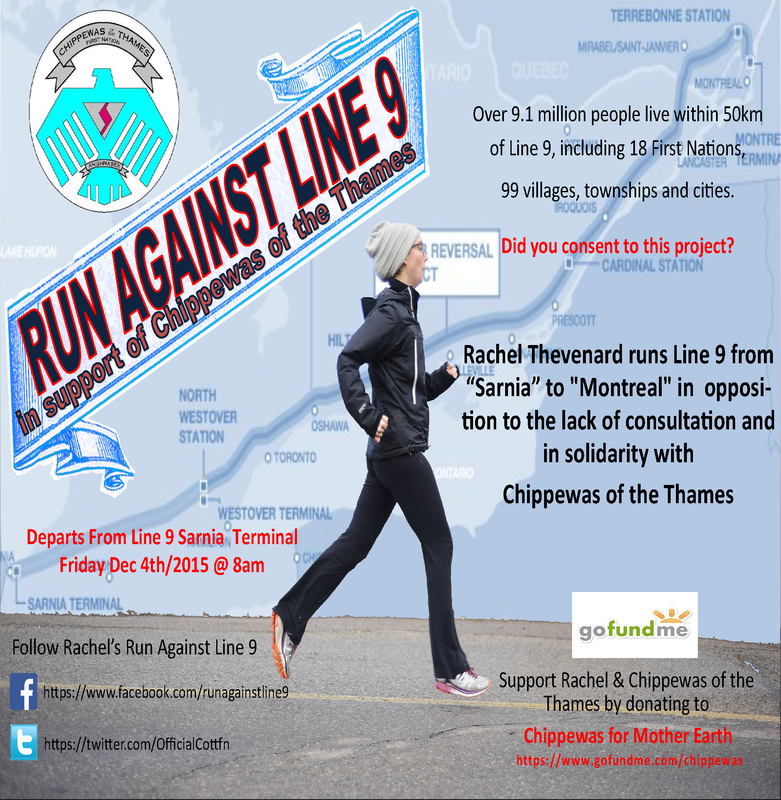 Chippewas of the Thames First Nation is a proud Anishinaabek nation in Ontario. Our Nation is part of the Chippewas who have occupied present day Southwestern Ontario for centuries. We continue to assert Aboriginal and treaty rights with respect to the lands and resources within our traditional territory, including the air and the waters. 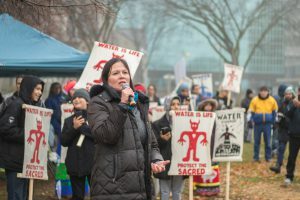 In this connection, there is a matter of pressing concern to our First Nation, and that is regarding the National Energy Board decision to approve an application by Enbridge to reverse the flow and allow bitumen to flow through Line 9, which runs through our territory and has the potential to adversely affect our Aboriginal and treaty rights. 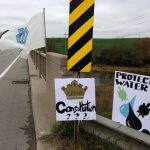 We are very concerned because of the potential environmental harm, but also because the decision was made without Crown consultation or accommodation of our interests. 2016-November Hundreds of allies gather in front of the Supreme Court of Canada to advocate the recognition for the Constitutional Duty to Consult. 2016-November Chippewa attends Ottawa to have their case heard by the Supreme Court of Canada. 2016-January Honouring Feast for Rachel Thevenard for her commitment to bring awareness to constitutionally protected Aboriginal and Treaty rights.